The Board of Trustees governs the College. Board members are trusted advisors, advocates, and ambassadors for the College. Board members commit to invest time, talent, and financial resources to support the mission, vision, and values of the College. 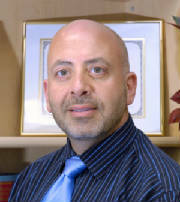 Tony Angelo, PsyD in Psychology - Loma Linda University, BS in Psychology - University of California, Riverside. Dr. Angelo’s academic expertise is in psychology. Mr. Angelo served as a pastor, clinical psychology, human resources manager and director of psychological services. David Little, MS, Stanford University - Manufacturing Systems Engineering, BA, Westmont College. David is a Product Management professional, having worked at Udemy, EBay, and HP Enterprise. David has worked with numerous companies to help them develop their product vision and strategy. David is an innovative product engineer and systems specialist with expertise in a variety of other areas. Nichoel Kimmerle, a marriage and family therapist in Redlands. Gary Miller served as a senior executive leader for research-intensive Christian universities. Responsible for all aspects of academic planning and operations, including faculty hiring and appraisal, program development and review, faculty development, university accreditation and assessment. He served as Executive VP and President of Universitas Pelita Harapan in Indonisia and Provost of Biola University. He has advised OVC on its accreditation application. He earned his PhD at University of Nebraska-Lincoln, his MS from Central Michigan University, and his St Joseph Hospital School of Medical Technology. Ray Blom is Chief Operating Officer of The Corporate Advocate, an Ontario-based business service company. He is also Principal of JS Platinum Insurance Services, which provides insurance services for Ray's clients. Finally, Ray serves as Chief Executive Officer of Contractors State License Center.. In his spare time, Ray is a leader in San Bernardino and has played a crucial role in supporting the city and various city leaders. Ray Anderson is an executive business coach. Ray has served a wide range of clients over his decades long career in the Inland Empire. Ray has a passion for transforming front-line workers to grow into leadership roles, informing executives of the day-to-day needs of the business. Ray is a trainer with a specialization called Good-Hearted Leadership, which focuses on informing business leaders and front-line workers on their inter-dependency and ability to learn and inform one another on how best to guide a business. Eric Blum serves as President of Oak Valley College. He earned an MPA - University of Washington, BA in Government, Politics, Philosophy and Economics - Claremont McKenna College. Mr. Blum has more than 20 years of administrative experience in higher education, most recently serving as Associate Dean of the School of Continuing Studies at the University of Redlands. Before Redlands, Eric held similar positions at UC, Riverside and UCLA. Eric attends Active Church in Yucaipa. 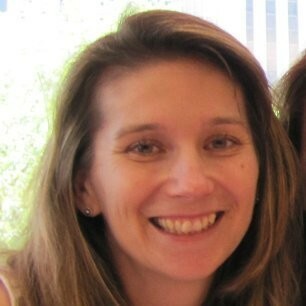 Wendy Little, PhD in Human Development and MS in Child Development, UC Davis, BA in Psychology, Westmont College. Wendy has served in the field of education for over 20 years, teaching students and families from infancy to early adulthood. Wendy began teaching K-5th grade students in Chicago with Kohl Children’s Museum and then joined the faculty at Westmont College Psychology Department. Wendy’s most recent PhD work with UC Davis’ Family Research Group focused on family processes and outcomes during adolescence and the transition to adulthood. She has co-authored several articles and book chapters on adolescent development, family dynamics, sibling relationships, and the effects of economic hardship across generations. Brian P. Black, DDS Loma Linda University. Brian offers broad experience within the dental industry. Dr. Black served in the U.S. Air Force Dental Corps and completed an AEGD program while in service. He then served as an associate professor and pre-doctoral student clinic director at LLUSD while practicing part-time in the Faculty Dental Offices and in the Center for Special Care Dentistry (a general anesthesia residency clinic serving special needs patients and at-risk pediatric populations). Dr. Black has lectured internationally on various clinical and academic topics and has published several articles related to clinical dentistry. He now maintains a full-time dental practice in Rancho Mirage, California. Gregg Simmons, MAEd – San Diego State University, BS in Business– University of Redlands. Mr. Simmons is a career coach and consultant with decades of experience working with students and athletes. Most recently, Mr. Simmons helped establish a career resource and counseling center for the United States Olympic Committee (USOC). Glenn Tetley is a CERTIFIED FINANCIAL PLANNER™ and has been helping families and business owners achieve multi-generational financial freedom since 1985. Glenn focuses on strategic wealth management by developing a personal relationship with each client and assessing the most appropriate solution for each individual need. Valerie Peister serves as Director of Programming and Community Engagement for the Redlands Music Association. Prior to her current role, she served as Executive Director for the San Bernardino Symphony. Ms. Peister has an extensive background in organizational leadership, including fundraising, donor relations, event planning, volunteer management, interagency project planning and development, and community relations. The Oak Valley College Advisory Board serves as advisors, advocates, and ambassadors, providing connectivity and support to serve new students and attract new resources to support the Oak Valley College mission, vision, and values. If you, or someone you know is interested in becoming an Advisory Board Member, please contact Mark Leonard, mleonard@oakvalleycollege.org. Dane Aaker serves as Lead Pastor at Centerpoint Church in Colton. Dane is a unique Advisory Board Member in that he agreed to host Oak Valley College at Centerpoint years ago. He is a true believer in the mission of the College and serves to inspire and encourage members of his congregation to explore what an OVC education may offer them. Jeff Abbott is Convene Chair and Managing Partner for the Inland Empire Barnabas Group. Jeff is a connector and business coach. He serves throughout the Inland Empire with many organizations, nonprofits, and ministries. Greg Blackfelner is retired Vice President Air Treatment Corporation and Board Member Inland Empire Barnabas Group, Greg supports ministries throughout the Inland Empire with his strategic planning. Jon Burgess is a marketing consultant and co-founder of Red Fusion Media, Jon primarily serves B@B and industrial clients with his marketing expertise. He focuses on providing strategic and integrated marketing solutions designed to support branding efforts, growth, and customer relationships. He also teaches future marketing professionals how to improve their marketing skills in social media, search engine optimization (SEO), and other niche areas. Ron Burgess started Burgess Management Consulting in 1989, specializing in strategic planning, marketing and marketing management. Today he is a "Chief Marketing Officer for hire," where he works with owners and presidents to grow business and manage marketing initiatives. Burgess founded RedFusion Media with son Jon and wife Molly. RedFusion manages many of the marketing campaigns; brand development, Internet marketing, print, and public relations of Ron's client base. 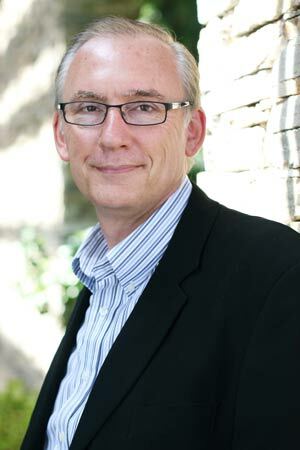 Ridge Burns serves as CEO and Executive Director of InFaith, a 200 year old ministry based in Pennsylvania. Before coming to InFaith, Ridge served as President of Forest Home, Southern California's largest and best known ministry camp. Ridge is a strong and compassionate spiritual leader with decades of experience guiding organizations and ministries. Robanne Burns, Ridge's wife, also serves as an Advisory Board Member. Darren Canada is a CERTIFIED FINANCIAL PLANNER™ and Financial Advisor with more than 23 years of experience helping clients navigate through the complex world of investment management, retirement planning, tax,, and estate planning, as well as risk and insurance management. Michael Coffey, MA - Biola University, BA - Gordon College. Mr. Coffey is an executive coach and teacher. He has developed a reputation as a dynamic, innovative, and motivational leader with over 20 years of experience as a team builder in diverse organizations. He runs a successful consulting practice serving primarily executives of public sector and nonprofit organizations. Rod Collins has been a private practice dentist in Redlands for 30 years. In addition, he is Lead Pastor of Sanctuary Church in Calimesa. Claudia Cooley is on a mission to inspire others to live their most empowered life. That’s exactly why she founded Claudia Cooley, Inc., a Professional Success and Life Enrichment company, where for many decades she has been providing workshops, programs and products designed to immediately expand one’s self esteem, heighten confidence, inspire meaningful relationships, optimize health, and create spectacular results for the executive and entrepreneurially spirited individual, to build your life and business with momentum and fulfillment. Betty Crocker serves as Director of Information/Communication for Redlands Christian Schools. She has her graduate degree with a focus in higher education administration. She serves as Oak Valley College's Accreditation Liaison Officer (ALO). Philip Earnhart was born in Switzerland and emigrating at a young age to the United States, Phil is an artist and designer. He owns High Fiber Design and lives with his wife and three sons in Bellmund, Switzerland. Gerard Dagonese is engaged in a biblical mediation, arbitration, reconciliation and conflict coaching practice as a Certified Christian Conciliator™ He is an ordained minister and when he is not hard at work, he enjoys spending time with his family, church, bowling, photography, computers, sailing and teaching biblical peacemaking. Bryan Feller serves as Executive Director of the National Christian Foundation California. Previously, as a marketing consultant, he was instrumental in leading several companies to double digit growth, and led one company to make the Inc. 500 list of fastest growing companies – twice. Kevin Gillespie offers more than 20 years of experience as an attorney in Redlands with expertise in real estate and business transactions, business mergers and acquisitions, and secured lending. Nick In't Hout, MA - Fuller Theological Seminary, BA in Education, Calvin College. Mr. In't Hout serves as a chaplain and spiritual coach for leaders. Prior to his current role, he served as a pastor and youth leader at The River Reformed Church in Redlands. Doug Jorritsma specializes in representing lenders, investors, developers and builders in residential land transactions throughout the West San Bernardino County market. His unparalleled market knowledge and experience has made him an acknowledged residential land expert within the real estate industry. Matt Kraus is a partner in the Riverside Law Firm - Lester & Cantrell. Matt ocuses his practice solely on civil litigation, with an emphasis on lawsuits arising from construction contact disputes, professional negligence, and business disputes. Denise Kuhn is a Certified Fund Raising Executive (CFRE) with more than 35 years of experience. Denise has a broad base of fund raising success, She has served nonprofit organizations that are making a difference in lives as diverse as junior high students and top media executives. She knows what it is like to approach a bold vision with limited human and financial resources. Geneva Labate owns Home Instead, a senior care business, in Riverside and Redlands. She is also a former Board Member of Member Barnabas Group Inland Empire. Gayle Linn serves as Dean at Oak Valley College. She earned her MS in Educational Leadership, California Baptist University, BA in English, University of Texas. Gayle is an accomplished English teacher with vast experience teaching a wide range of students from Kindergarten through college. Her range of experience also extends to administrative service, having held positions of Dean of Academic Affairs for Community Christian College to Principal at Banner Elementary School. Gayle began her career serving in ministry with Campus Crusade for Christ (now Cru). Mark Leonard, MBA, serves as the Executive Vice President of Oak Valley College. Mr. Leonard is also a business consultant specializing in marketing and strategic planning. Mr. Leonard serves on the Board of the Inland Empire Barnabas Group, and is a leader in his local church, The River. 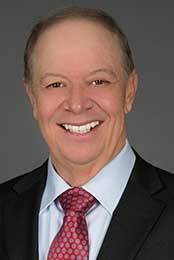 He has previously served on the board of the Inland Empire chapter of the American Marketing Association. Mr. Leonard began his career in teaching. He taught high school music for several years before transitioning to a career helping businesses with their marketing and communications strategies. Mr. Leonard is excited to be part of a college that challenges the assumptions of higher education – namely, that student loans and oversized campuses are required to earn a high quality degree from a private Christian college. John Manning is the retired President of MAP Consulting. MAP is a General Management consulting firm that has helped 170,000 leaders in over 15,000 organizations nationwide create sustainable results. The MAP Vital Factors System drives bottom-line results through the unique integration of discipline, accountability and coaching. Debbie Martis is founder and CEO of Rebirth Homes. Her vision is to find abandoned homes in the city of Riverside and rebuild them to redeem the lives of those trapped in a life of slavery. Debbie is a business and nonprofit leader having worked in private industry and, most recently, for Forest Home. John Mills started five companies in New Zealand and the USA. 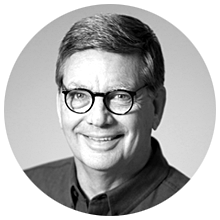 In 1979, he formed EMCI (Electronic Marketing Consultants Inc) for bringing technology engineering solutions to fortune 500 clients. John’s expertise includes international business development, (China, New Zealand, and Asia) with a focus on alliances, and technology transfer. Kirk Pagel, MD, is a Family Medicine Doctor for Kaiser Permanente. He earned his MD from Loma Linda University and is Board Certified by the American Board of Family Medicine. Kirk's wife, Joyce, also serves on the Advisory Board. Doug Richards, MD, graduated from the Oral Roberts University School of Medicine at Tulsa. He works for Kaiser Permanente in Fontana and specializes in Addiction Medicine. Connie Salios followed a successful 30-year career in the home improvement industry and is now serves as the National Managing Partner for The Barnabas Group. Connie’s current assignment is to help expand The Barnabas Group model into new cities and connect the time, talent, and touch of Christian marketplace leaders with ministry opportunities around the corner and around the world. Ben Slagter graduated from Calvin College in Grand Rapids, MI with a BA in Criminal Justice in 1998 and from Michigan State University with a MS in Criminal Justice in 2000. 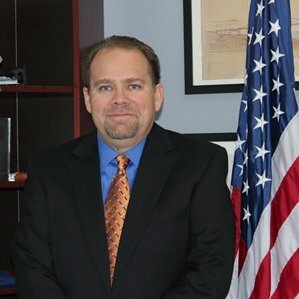 He is currently employed as a Regional Manager with the Department of Public Social Services, Children’s Services Division for the County of Riverside. Mr. Slagter also co-facilitates an initiative in Riverside County Children’s Services called Faith in Motion whose primary focus is to work directly with faith based partners, recruiting foster homes and providing support services for the children and families that are currently involved in the child welfare system. Matt Thalmayer is President of T and T Healthcare Staffing/Arrow Staffing. In 1972, Redlands Employment was launched. In 1992, after 20 years of serving Redlands the Thalmayer family purchased the personnel firm and renamed it Arrow Staffing. Jim West is co-founder of The Barnabas Group, and is currently the Managing Partner of the Orange County Chapter and co-Maanaging Partner of the San Diego Chapter. He is also the Executive Director of The Pocket Testament League. Jim spent 21 years in senior management in the mortgage industry. He taught school (college and junior high school physical education) for 10 years prior to that. He has a Master's Degree from California State University, Los Angeles. He is currently on the Board for International Training and Equipping Ministries. Jim's passion is evangelism and he is often on mission trips sharing the Gospel. Craig Wilson is an attorney and partner at Fullerton, Lemann, Schaefer & Dominick law firm in San Bernardino. He focuses on areas of estate planning, business law, business transactions, corporate law, nonprofit corporation’s law, contracts, and real property law. Mr. Wilson earned his undergraduate degree from Pepperdine University, and his law degree from Golden Gate University. Scott is committed to serving others and has held the positions of chairman, president, treasurer, and audit committee chairman for the Orange County Child Abuse Prevention Center, Calvary Christian School, and the American Cancer Society. He is also involved with Hope International by providing microfinance loans to individuals in the Democratic Republic of the Congo and the Dominican Republic. Scott is a long time member of Convene. Greg was a senior executive for 20 years with the $9 billion ServiceMaster Company, serving in various leadership capacities. He was Vice President of Arrow Leadership and Director of Leadership Development for Christian Leadership Alliance, creating learning experiences for the most influential Christian organizations in the world. Married for over 35 years to his wife Shelley, he’s the father and friend to five thriving young adults.